For questions regarding medical or dental benefits, email benefits@speea.org. Open enrollment, the time period each year when employees can change their medical plans, is Nov. 6 - 27 at The Boeing Company. 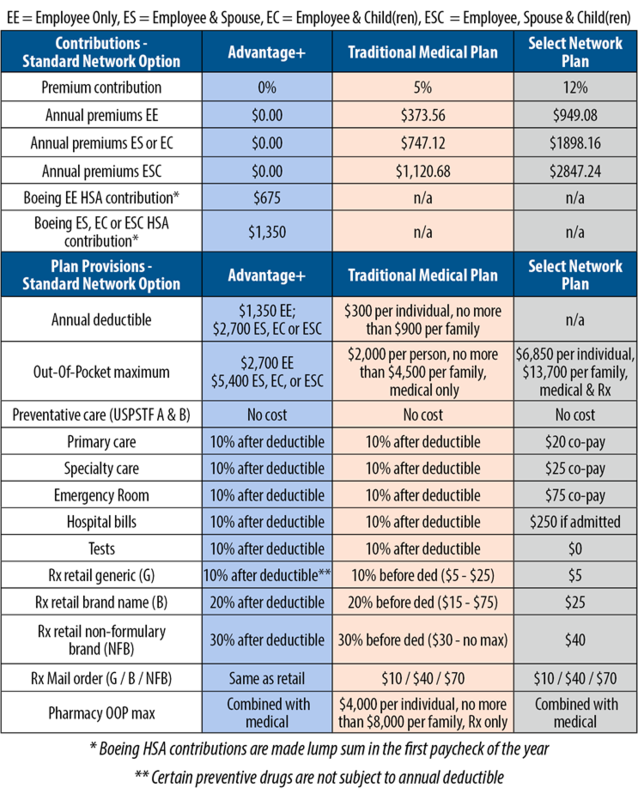 With fairly significant changes to the plan last year, open enrollment is your opportunity to review your selections and choose which plan provides the best coverage for you and your family. Deadline for correcting mistakes – Even if you don’t change your benefits package, you will receive a confirmation letter in the mail. You have a limited amount of time to request a correction. Make sure your home address is correct in Boeing TotalAccess. For more information on the medical plans at The Boeing Company, visit www.bcbsil.com/boeing or log into Boeing Total Access.